Although its applications have been practiced for generations, ‘Functional Neurology’ as a health care discipline is a relatively new concept gaining wide acceptance as a powerful treatment option for disorders of the nervous system, and as a pro-active brain performance strategy. The practice of functional neurology spans multiple disciplines including chiropractic, psychology, medicine, optometry, audiology, and physical and occupational therapies. The key difference between a Functional Neurologist and a Conventional Medical Neurologist lies primarily in the treatment applications available to them. Whereas the Conventional Neurologist is classically focused on the diagnosis of structural pathology and utilizes pharmaceutical and surgical interventions to treat disease; the Functional Neurologist views the nervous system as a moldable, changeable entity that can be affected in its function through virtually unlimited types of environmental stimulation he or she can deliver. This concept of the brain being able to change its function throughout life via environmental stimulation is termed ‘neuroplasticity’ and is at the very core of a Functional Neurologist’s clinical methodology. The Chiropractic Neurologist is in fact the embodiment of a Functional Neurologist at the highest of levels as their extensive training and rigorous certification processes ensure a higher level of clinical efficacy and public safety with their functional therapeutic interventions. They are the clinical neurologists of tomorrow and their services are needed now more than ever as many conditions of the nervous system have little, if any, effective long term clinical success with conventional interventions; and humans are now living longer than ever due to advances in medicine allowing for increased incidence of neurodegenerative disorders where the safety of long term medication usage is highly questionable. 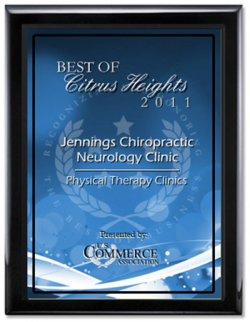 Unlike conventional medicine, which focuses on attempting to treat disease once it occurs, Jennings Chiropractic Neurology Clinic emphasizes the evaluation of the nervous system in an effort to reduce the risk of pain and illness in the first place. Most people would rather be healthy and avoid illness, if they could. This is one of the main reasons for the big surge in the popularity of our wellness center. People are recognizing the benefit of seeking an alternative to traditional medicine; one that will help them achieve and maintain optimal health. Please take the time to meet the doctor, team, and our wellness network dedicated to helping you achieve your wellness objectives. To fully understand the nature of your health we recommend you join our free website membership program. 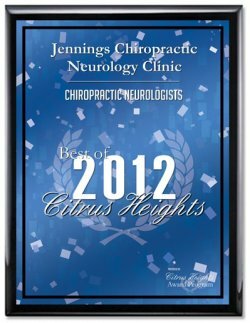 As a patient at Jennings Chiropractic Neurology Clinic we will personally tailor a wellness program specifically targeted to your wellness needs using the least invasive yet highly-effective techniques and services.